Mahindra’s e2o was replacement for Reva electric car. 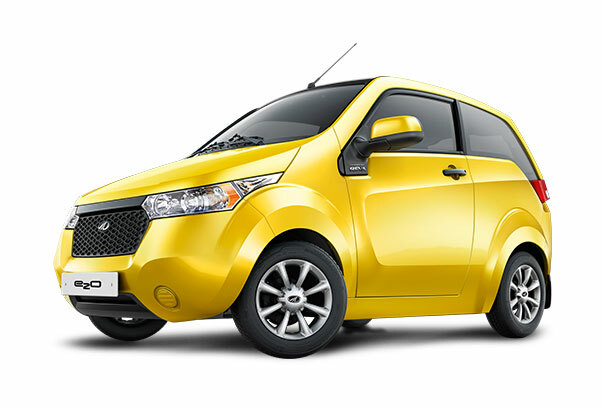 Mahindra e2o was designed to be more practical and to effectively replace the Reva. e2o played a good role in expanding the EV market which was otherwise known as a niche segment. Last month Mahindra introduced more practical iteration of e2o, calling it as “e2o Plus“. The inclusion of rear doors, improvement in the range, more practical bootspace are some of the good USPs of e2oPlus electric car. There is also increase in the length and wheelbase of e2o, and the battery pack is also increased (to provide better range). Because of 4-doors, Mahindra e2oPlus is a more practical hatchback that runs on 100% electric power. Mahindra e2o Plus is new to Indian market and it is found that the company has no longer listed 2-door e2o in their official portfolio page. What this potentially could mean is, the company is heading towards projecting only e2oPlus as their core product, discontinuing the 2-door e2o. However, there is no official confirmation from Mahindra Electric if two-door e2o has reached end of the line for India or if Mahindra still has plans to retain their smallest electric offering. Mahindra e2oPlus is offered in 4 trim levels (P2, P4, P6, P8) and 4 exciting colors namely Coral Blue, Sparkling Wine, Arctic Silver and Solid White.